The three constables threatened to foist a theft case against the man if he spoke about it. Tamil Nadu: Three constables allegedly robbed a labourer at the Chennai Central railway station last night and threatened to foist a theft case if he spoke about it. The Tamil Nadu railway police have today arrested the trio. 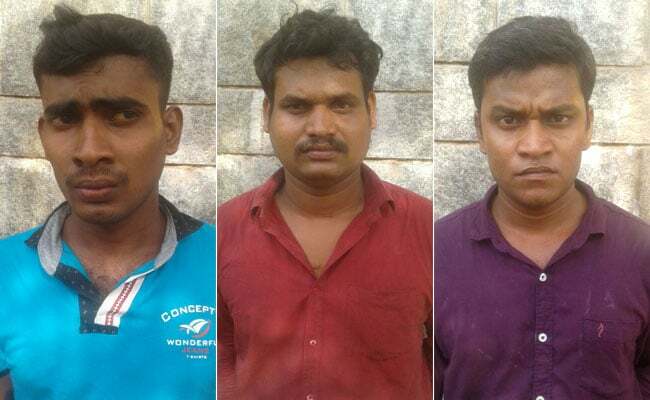 According to a senior Railway Police officer, the three constables -- J Irudhayaraj, J Aruldhoss and S Ramakrishna -- attached to the Tamil Nadu special police targeted a migrant labourer who was sleeping in the waiting area of the station. He was to board the train to Kerala in the morning. Investigators say the constables took the man to an isolated spot with no CCTV cameras. They took away his purse containing Rs 1,800, a new cellphone worth Rs 16,000 and his watch. When the man pleaded with them, they gave him Rs 300 for travel and food and left. The man was scared to report the matter to the police. However, a few autorickshaw drivers who had witnessed the incident took him to the police station and the man filed a complaint. A senior officer said, "We have strong evidence. We have registered a case of robbery and extortion. If convicted they would be sent to jail for 10 years."